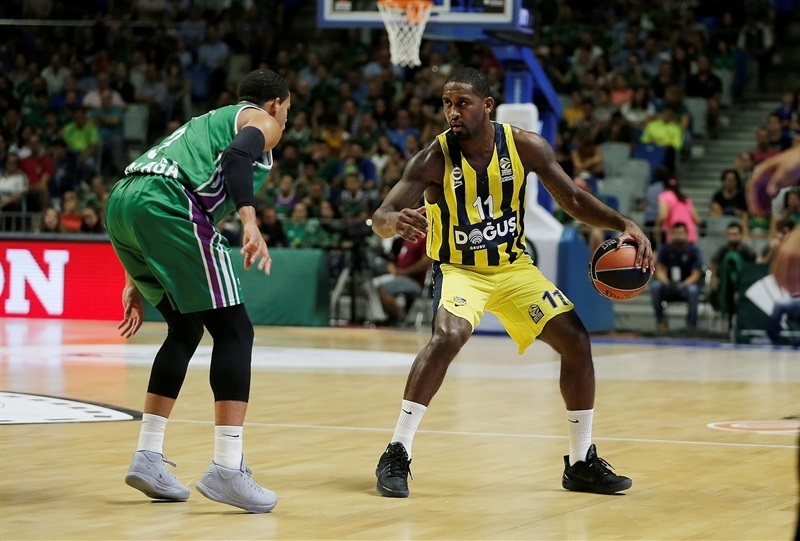 Unicaja Malaga outlasted Fenerbahce Dogus Istanbul 68-67 as the clash between the reigning 7DAYS EuroCup and Turkish Airlines EuroLeague champions produced a thrilling opening night battle in southern Spain. 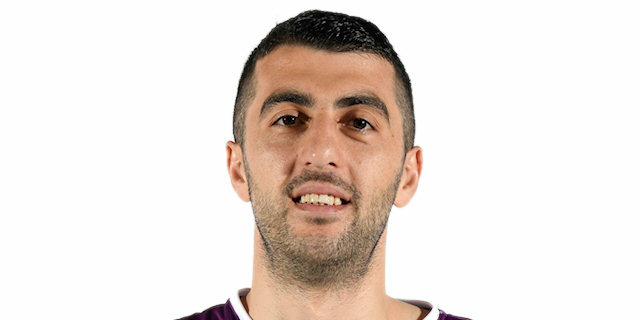 The outcome was decided on the final buzzer when Kostas Sloukas’s attempted game-winner bounced off the rim, giving Unicaja a vital victory which largely came about through superb team defense in the second half. 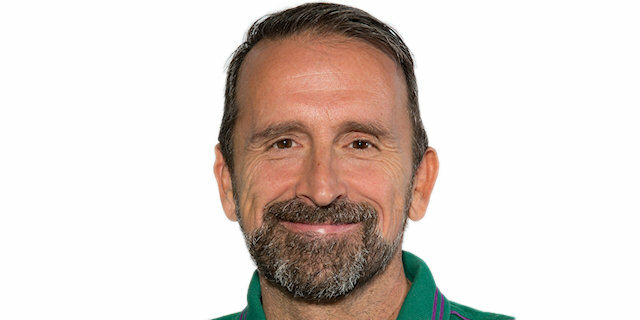 The Spanish team’s collective effort is evident from the fact that Unicaja won despite only one player – Giorgi Shermadini with 12 – scoring in double digits. 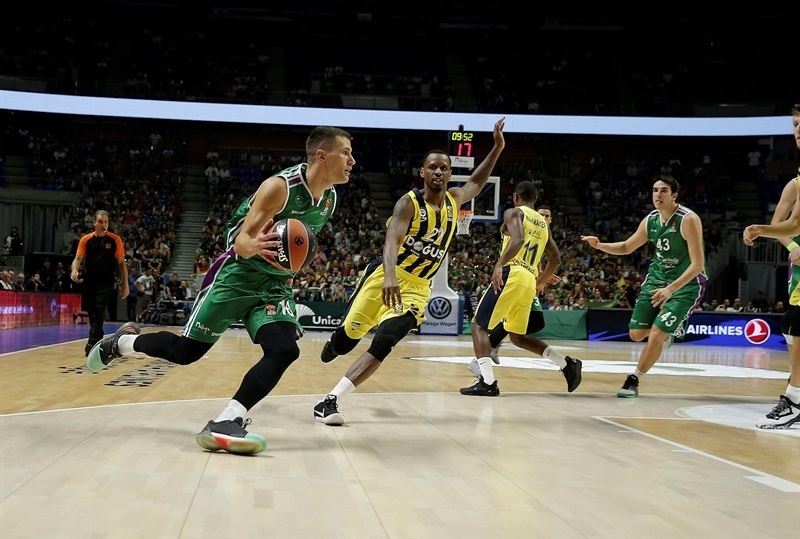 The most telling statistics were team achievements rather than individual: Unicaja claimed 9 steals while forcing Fenerbahce into 13 turnovers, won the rebounding battle 32-22, and only allowed the reigning champs to score 26 points in the second half. 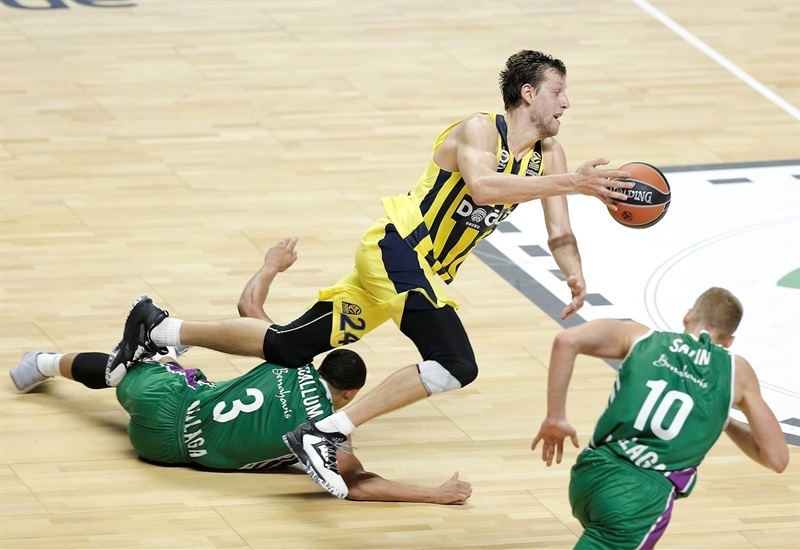 Fenerbahce was led by 15 points and 7 assists from Sloukas, while Jan Vesely combined 12 points with 8 rebounds and Gigi Datome scored 13 points. Cheered on by a noisy crowd, Unicaja struck first with Adam Waczynski’s three-pointer starting off a 6-0 opening run. 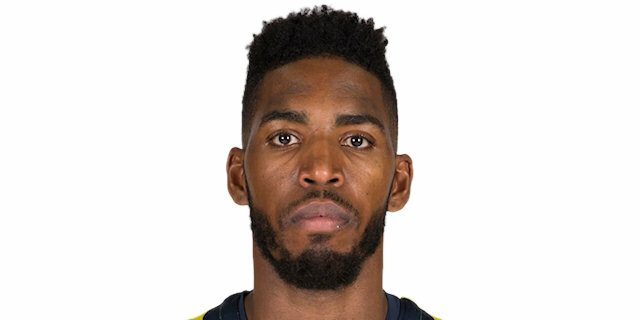 But Fenerbahce quickly came back with a triple from Brad Wanamaker and Datome’s smooth jumper completing a 0-9 tear. 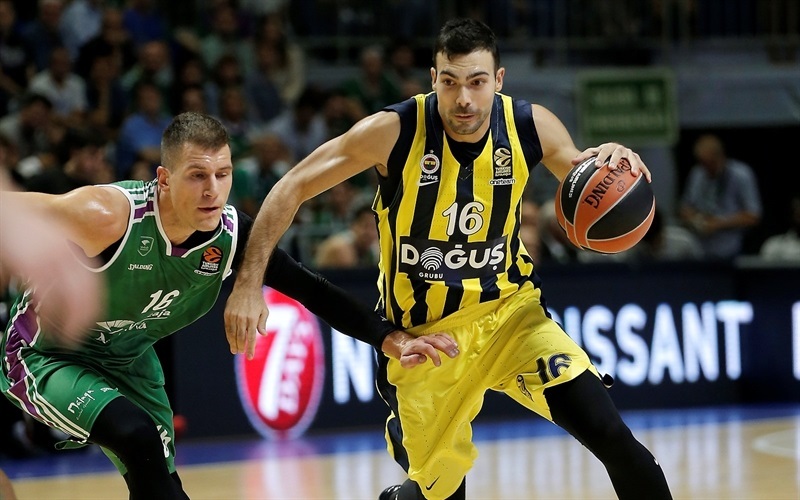 The first quarter ended tied at 20-20, but Sloukas scored the first 4 points of the second to put Fenerbahce in charge. Marko Guduric then scored 5 straight and Sinan Guler struck a triple to make it 22-32, but Dejan Musli turned the momentum with 9 points and a blocked shot in less than three minutes. 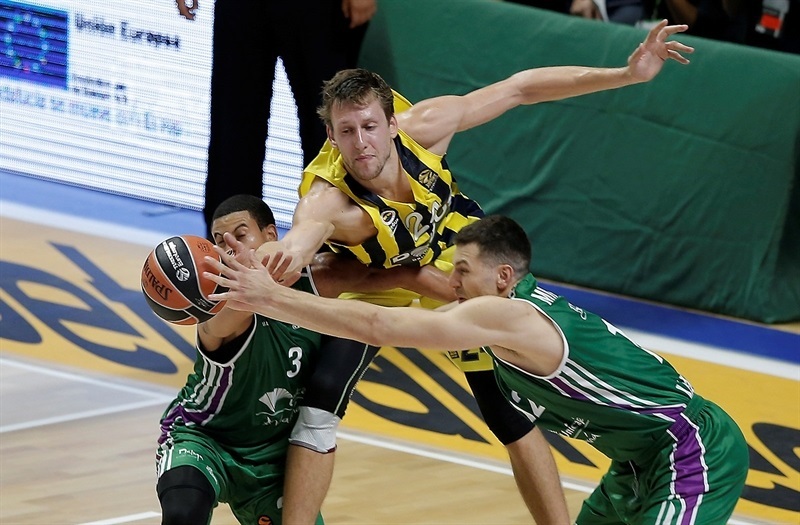 Waczynski hit another three as Unicaja kept fighting, and halftime arrived with Fenerbahce leading 36-41. The visiting team maintained a handy advantage with a 0-7 run including triples by Wanamaker and Datome, and a big slam by Vesely extended the advantage to double figures before the end of the third. But it was far from over. 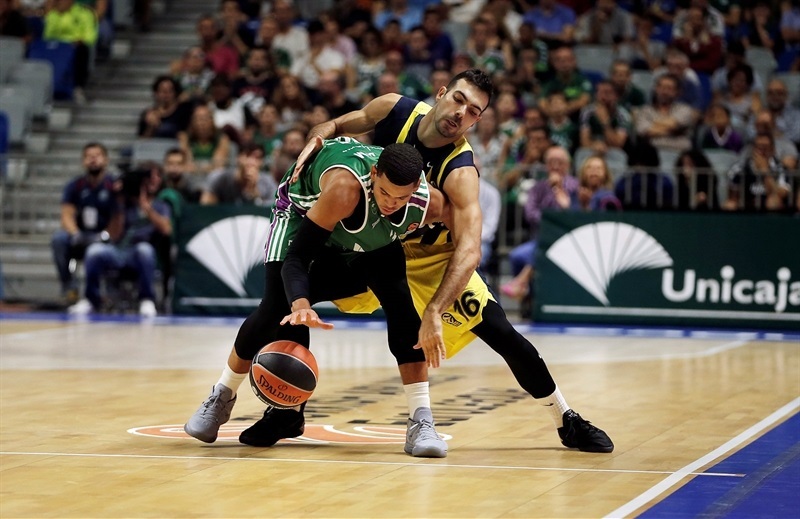 After struggling earlier on, Ray McCallum ignited by scoring the first 6 points of the final quarter as Unicaja came back to 56-57, before two baskets from James Augustine capped a 13-0 run to give the home team its first lead since the first quarter. 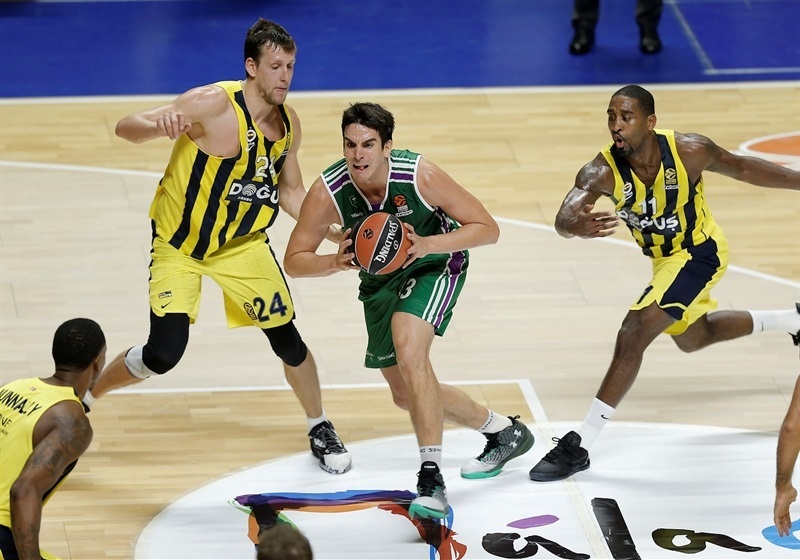 Fenerbahce had been held scoreless for more than five minutes before Vesely stopped the rot from the foul line, but Unicaja’s defense refused to yield and Dragan Milosavljevic’s put-back lay-up made it 68-60 with just over two minutes remaining. Two baskets from Sloukas and a triple from Datome made it a one-point game, and it all came down to the final possession, but Sloukas missed and Unicaja celebrated. "We deserve to be here after winning the EuroCup last season, and tonight we didn’t give up even when we faced a big difference. We deserved to win 100% and we showed that we are capable of beating anybody if we really work like we did." "It was an amazing game in front of our amazing crowd. We believed until the end that we could win, we were waiting for our run and it happened in the fourth quarter, and I’m really proud of how we played defensively. Fenerbahce are a really good team but we were able to beat them so it’s a great start to the season." "It was a great win; it’s only our first so there’s no reason to get too excited. Now we’ve got to practise, come back next week, try to get another win against Olympiacos and go from there." "I said at halftime, we had to play more tough in the second half. Fenerbahce are an amazing team, they are all stars, but we were lucky enough to win, so congratulations to my teammates. It’s always great when you win." "We obviously didn’t get the outcome we wanted. 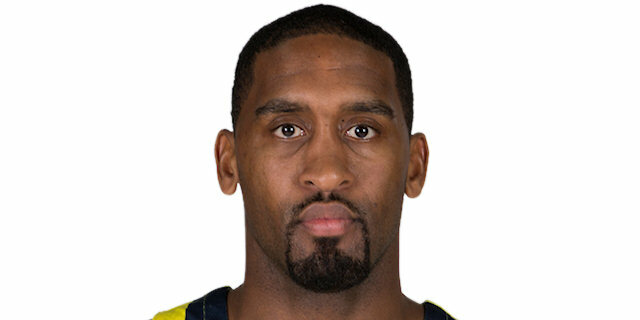 I had a lot of adrenalin starting my first EuroLeague game on the road, and unfortunately I got into foul trouble. I’ve got to find ways to help the team out by staying on the floor." 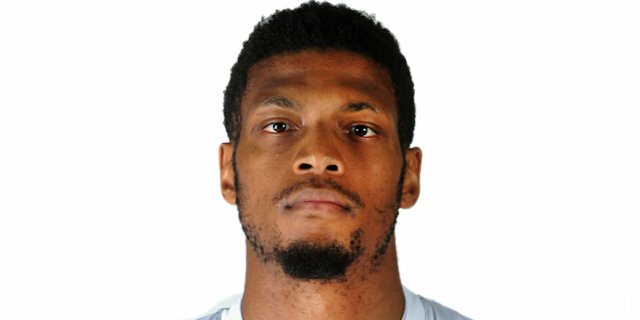 "EuroLeague is always tough on the road. They were more aggressive than us and they took 16 more shots than us, but this is the first game and when we get back we’ve got to watch the film of the game."